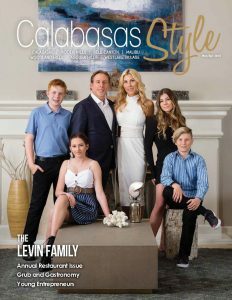 New LVUSD class for high schoolers covers important life skills. Ninth-grade students in the Las Virgenes Unified School District (LVUSD) are starting off high school in a very different way. These are the first high schoolers for whom the new Freshman Seminar course is a graduation requirement. This is another example of the innovative approaches teachers and staff at LVUSD take to support students and ensure their success. In two semesters of Freshman Seminar, all first-year high school students will be guided through several topics meant to support them through the transition from middle school to high school. Students will learn about public speaking, mental and physical wellness, bullying prevention, navigating high school, study skills, financial literacy, and collaboration and will learn additional skills that target college and career readiness. 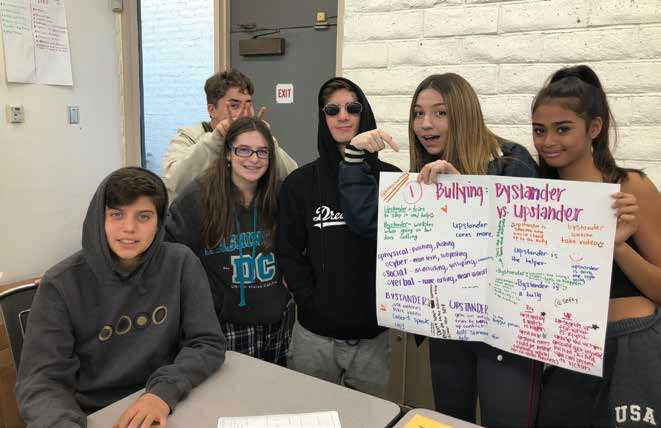 Freshman Seminar exemplifies the principles of LVUSD’s district-wide social-emotional learning framework, Student 360, aimed at proactively shaping and supporting students throughout their time in school. 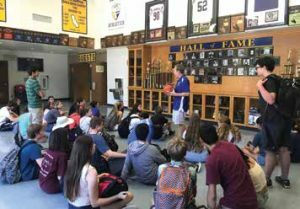 “The addition of Freshman Seminar demonstrates our leadership’s support of health and wellness, which is particularly critical for students at this age,” says Steve Scifres, director of curriculum and athletics for LVUSD. “Our intention is to give students a solid foundation to begin their high school careers and inspire them to develop interests that will feed their curiosity and desire to learn,” adds Superintendent Dr. Dan Stepenosky. 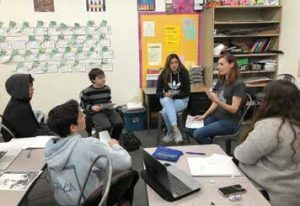 Last school year, three classrooms at each of LVUSD’s two high schools were able to experience an initial pilot of the Freshman Seminar course. Students appreciated learning how to organize their time and improve their study skills; in addition, the friendly atmosphere in the classroom encouraged them to share and form friendships with their classmates.